When you need an automobile service for business or corporate events, York Minibus will secure an early and safe arrival for you and your party. We are well aware of the importance of punctuality in business, and we would never dream of letting you miss a second of the action. 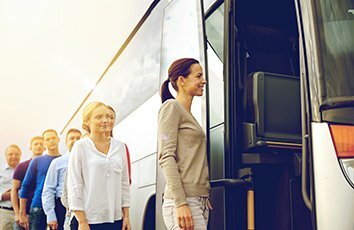 So, whether you’re holding a teambuilding event or you’re eager for your whole team to reach the trade show or conference at the same time, our coach and minibus fleet is there to serve. From hog roasts in the open air to York Dungeon visits, York is brimming with fun-filled activities through the year. Every self-respecting businessperson puts great effort into making corporate events memorable, and whether you want your co-workers to get to know each other, to bond, to work as a team, or to try new skills, you can’t go wrong with our Business / Cooperate Events York package. We take care of all your transportation needs so you don’t have to, and we’ll get everyone on board, literally. From quad bike and off-road racing to office Christmas parties, your events are bound to require a great deal of time and effort to put together. Let York Minibus take care of the transportation aspect, and make your corporate event run smoothly. With trained, experienced and vetted chauffeurs at hand, we can make your event that much more enjoyable. Simply call York Minibus today, and speak to one of our representatives about your specific requirements. You may be surprised to find that you’d like a chauffeur to drive the team to and fro, and you can enjoy this Business / Cooperate Events York package add-on at a very affordable price.